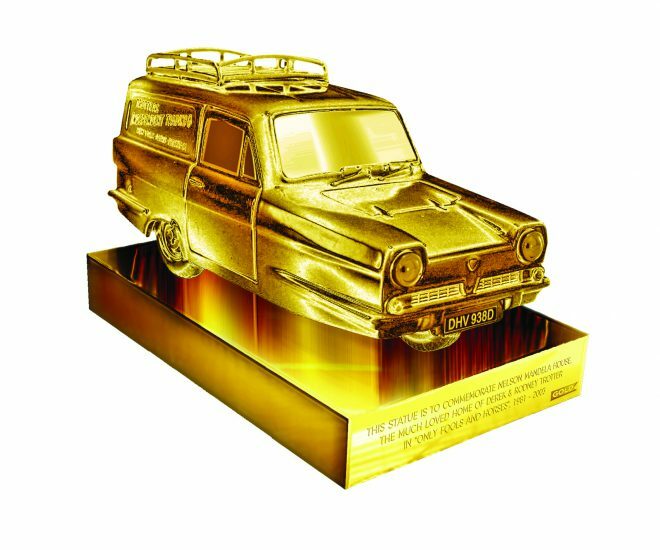 UKTV Channel Gold have today launched a public petition to install an Only Fool’s and Horses themed statue commemorating the London tower block that housed the Trotter brothers in the show following news the site is set to be demolished. Harlech Tower in Ealing was used in the iconic sitcom to portray the exterior of Nelson Mandela House, home to Del Boy and Rodney and featured in many of the show’s most beloved episodes along with the opening credits. 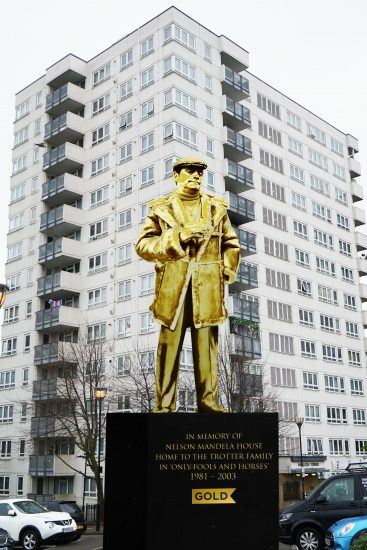 The public petition has been issued for Ealing Council to permit the installation of either a statue of wheeler dealer Del Boy himself, the comedy duos yellow Reliant Robin or simply a commemorative plaque recognising the tower block’s place in British comedy history. The channel has released the initial designs in order to generate public support and gain the 1,500 signatures for the petition to be submitted for the council’s consideration. John Challis, who played Aubrey “Boycie” Boyce in Only Fools, is backing the new campaign. To stir up public interest, Boycie features in a short video appeal encouraging others to join him in signing the petition. You can sign the petition to support the installation online here.